It is not even summer yet and the humidity is already doing a number on our skin. We don’t know how you guys are handling what feels like a layer of oil, dirt, heat, and grim on your faces (seriously, we feel the need to wash our faces all the time) but we need a bit of a cool touch to make our faces feel clean whenever we’re outside for more than 20 minutes. As the saying goes, ask and you shall receive. 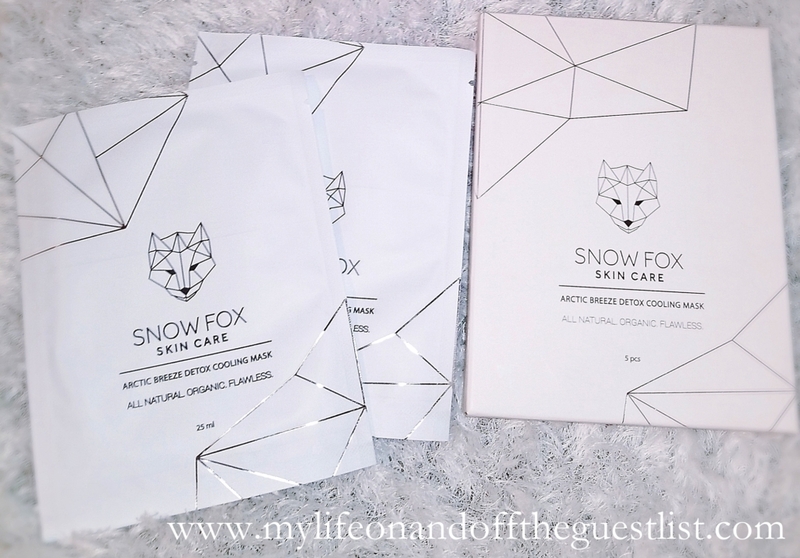 When it comes to cool things, nothing beats snow, so of course, we opted for a little arctic skincare pampering with the NEW Snow Fox Skincare Collection. Say hello to the 3-step regimen that will keep you cool, and looking fresh-faced during those upcoming hot and humid summer days. 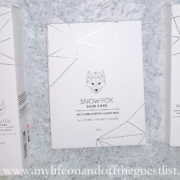 The Snow Fox Skincare Collection includes a Soothing Facial Cleansing Mousse, Day & Night Multi Defense Cream, and ArcticBreeze Detox Cooling Mask that will leave skin looking and feeling flawless. 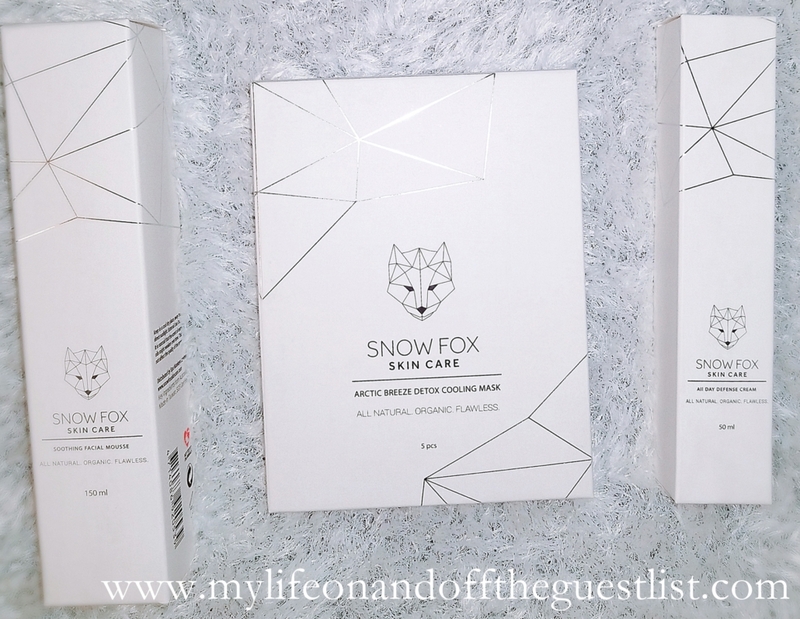 Formulated with rare plant ingredients such as Cherry Blossom Extract and Gotu Kola, each product is strictly pure and does not contain any artificial colors, dyes, or fragrances, making it the perfect choice for those who want to indulge their skin, both sensitive and non-sensitive, in the lap of luxury. A powerful mask that moisturizes, brightens and evens out skin tone while tightening pores. Essential oils work to extract impurities from deep within the skin. Key ingredients for this cooling facial mask include Peppermint Oil Extract, Aloe Vera Leaf on a 100% Organic Cotton Sheet. A powerful and gentle formula that removes dirt, oils, and impurities from your face without stripping your skin of moisture. This non-irritant refreshing formula is made from organic peppermint oil extract that provides natural, cooling antimicrobial protection. Key ingredients of this skin saving cleansing mousse include Citric Acid, Peppermint Oil, and Aloe Vera Leaf. The soothing day cream locks in moisture, repairs and protects the skin from environmental stressors that can cause dry, damaged skin. This multipurpose repairing defense cream can be used as a primer, a day cream, a night cream and even a mattifying foundation or BB cream blender. The cream is formulated with antioxidant Ginseng Extract and also works against fine lines, wrinkles and evens out hyperpigmentation. 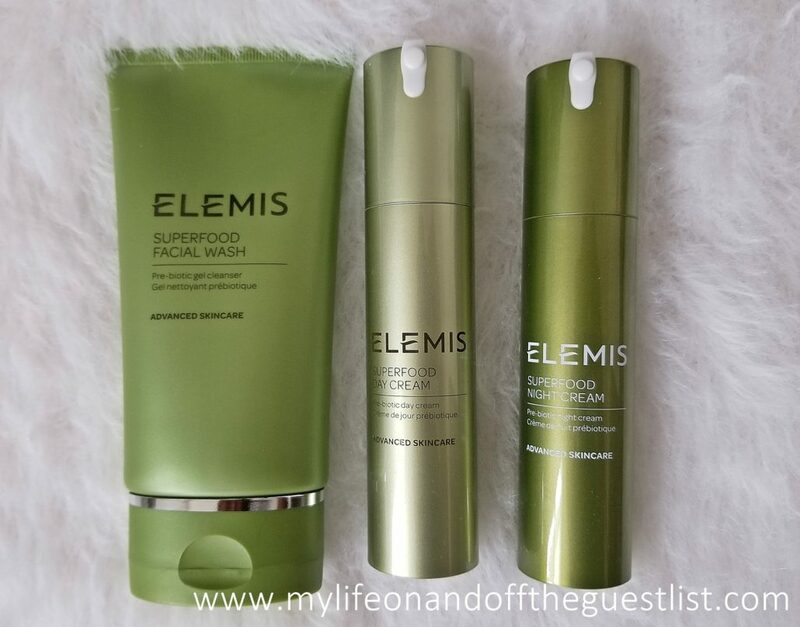 Key ingredients include Olive Fruit Oil, Ginseng Extract, Jojoba Oil and Macadamia Oil. 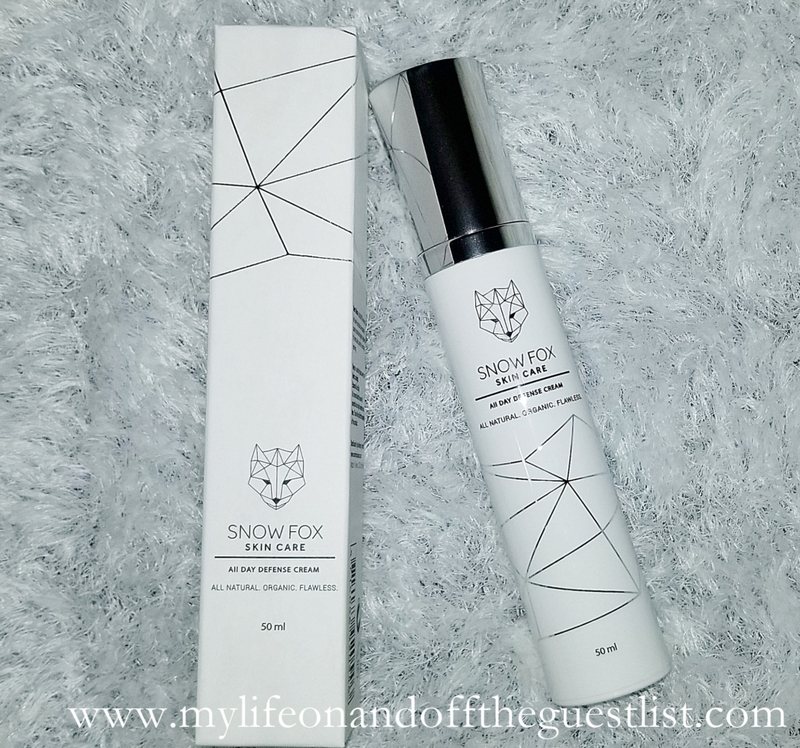 The Snow Fox collection is available for purchase at www.snowfoxskincare.com. The best way to get healthy skin is to get it glowing. We all want a naturally gorgeous complexion that will turn heads and we’re here to help you achieve your skin goals with the highlight of the latest beauty tools from Tweezerman. Last month they launched several great beauty tools, two of which we’re really excited about – the Tweezerman Complexion Cleansing Brush and Tweezerman Bright Complexion Facial Dermaplaner. If you haven’t heard, Dermaplaning is the latest innovative way to exfoliate and rejuvenate your skin to hit the US market. While you can get this treatment in some spas and with professional tools, Tweezerman gives you the option to enjoy this treatment with their at-home tool that achieves results that rival those of professional Dermaplaners. The second of the beauty tools from Tweezerman is perfect for pampering your skin. This great cleansing brush boasts super soft bristles that you’ll have to feel to believe. Whether you use a cream or gel cleanser, your skin will look brighter each use. Here’s to brushing up on your skincare routine with the new Tweezerman Complexion Cleansing Brush. This handy tool works to gently cleanse and wash away impurities, leaving you with glowing, healthy skin. The Complexion Cleansing Brush features velvety soft bristles that work to lift and remove all unwanted layers of makeup and dirt, cleaning deep into the pores. The brush’s ergonomic shape makes it easy to hold, plus, the titled head allows water to drain so the bristles dry thoroughly. Get it now on www.Tweezerman.com and www.Uita.com for $16.00 each. This new, easy and safe “at home” facial tool exfoliates and rejuvenates your skin thanks to its high-quality stainless steel blades that clear away dead, dull skin cells promoting a brighter, clearer complexion with a luminous glow. The small ergonomic beauty tool fits nicely in the palm of your hand and its specifically designed cartridge keeps the blade at the perfect angle to guarantee safe and effective application; so there’s no fear of accidentally cutting your skin. 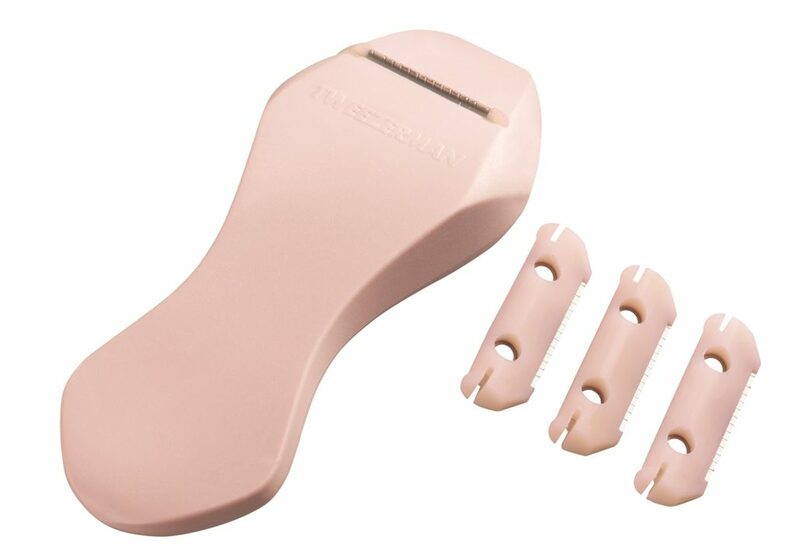 The Tweezerman Bright Complexion Facial Dermaplaner comes with 3 replaceable blades that easily slides into place. Each blade can be used for up to three months and with a total of four blades, the device has a one year supply when used as directed. Get this innoc=vtive beauty tool on www.Tweezerman.com and www.Ulta.com for $30.00. What are your thoughts on these new beauty tools from Tweezerman? Have you tried Dermaplanning? 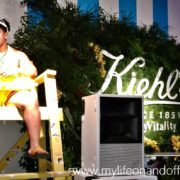 Kiehl’s brought a little sunshine and summer fun into our winter lives right before the snowstorm. 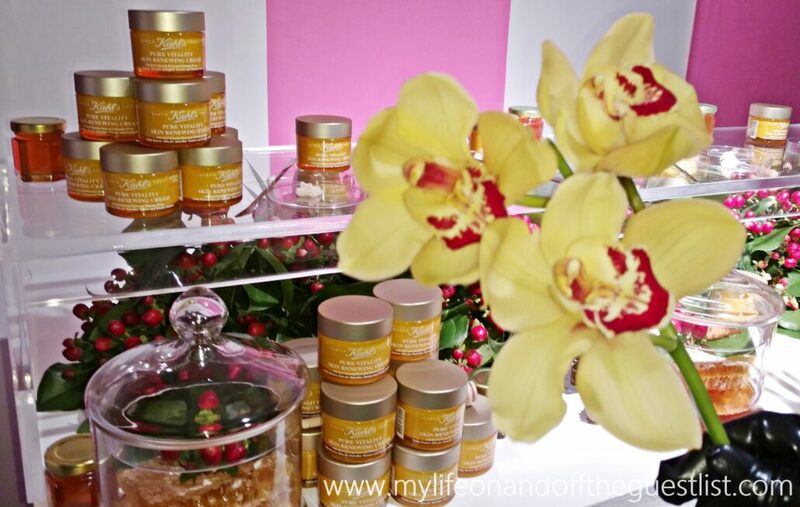 The wonderfully fun event was to celebrate their newest skincare launch, the Pure Vitality Skin Renewing Cream. From the outside decor, we knew we were in for a wonderful night of summer enjoyment, despite the cold temperatures outside, and boy were we right. 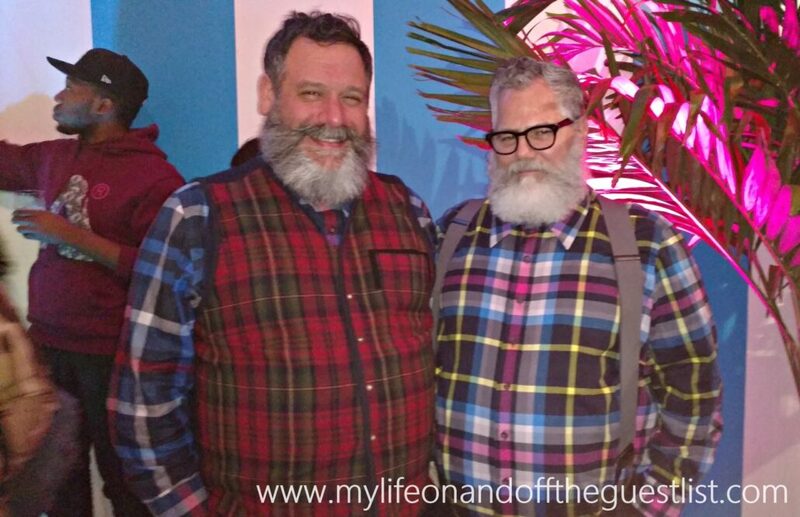 Guests were invited to don their favorite summer fashions for a bit of fun in the “sun”. 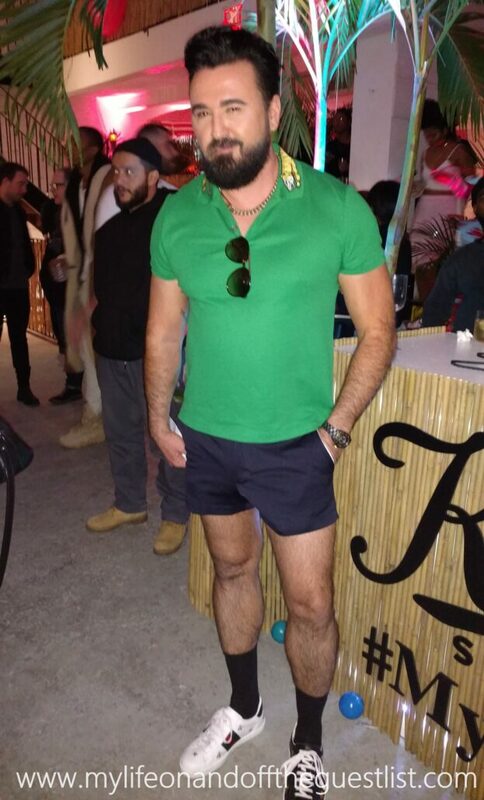 Many attendees complied, rocking shorts, sun dresses, and lots of bold colors. The summer themed event with filled with lots of fun, interactive details and all the things you’d find at the perfect pool deck – a ball pit made to look like a swimming pool, lifeguards on duty, palm trees, cool flotation devices, relaxing deck chairs, Tiki bar serving delicious and refreshing lemonade and ice tea drinks, and of course stations to try out the new Kiehl’s Pure Vitality Skin Renewing Cream. 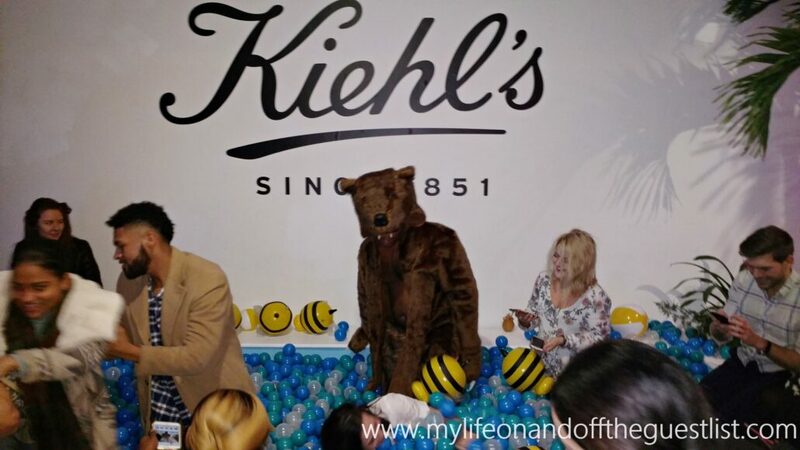 What makes the Kiehl’s Pure Vitality Skin Renewing Cream so amazing? (We’ve been using the sample we received and we must say, our skin has never felt this soft and supple during the winter months.) To create this new wonder skincare product, Kiehl’s harnessed the power of two natural ingredients sourced from Eastern and Western medicine, each known for their potency and amazing benefits. Kiehl’s used the ancient botanical, Korean Red Ginseng Root, for its revitalizing properties and its ability to accelerate cell renewal, improve texture and vitality, leaving you with vibrant glowing skin. The New Zealand-based Manuka Honey strengthens your skin’s barrier to smooth fine lines, helps to improve your skin’s resilience and its ability to recover. We’re loving the results after one week of use, we can’t wait to see our skin after a month of use. 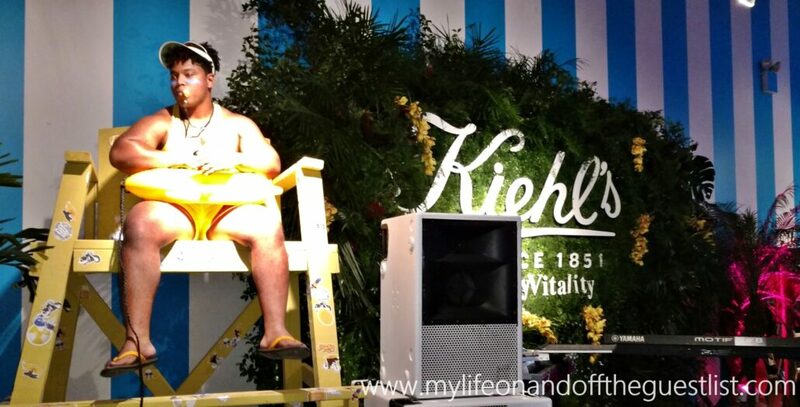 As usual, it’s always a pleasure to say hello to and thank Kiehl’s President, Chris Salgardo, who showed some leg in short shorts. 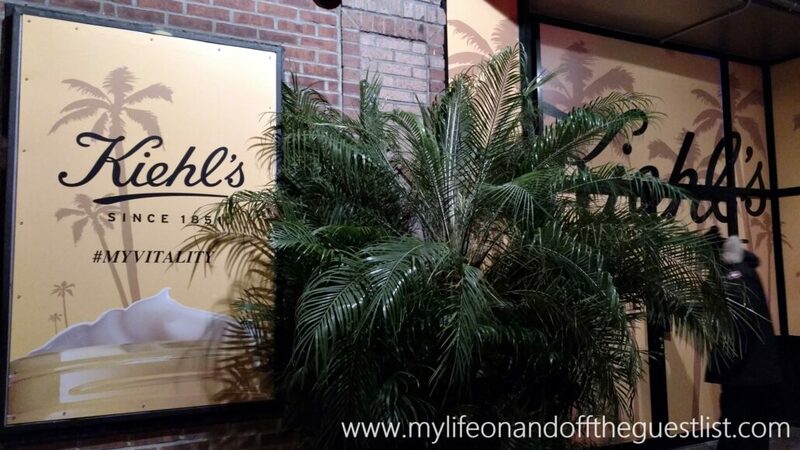 As always, we had a great time celebrating with Kiehl’s and look forward to having our skin be completely and properly protected from the upcoming frigid winter days. The Kiehl’s Pure Vitality Skin Renewing Cream. 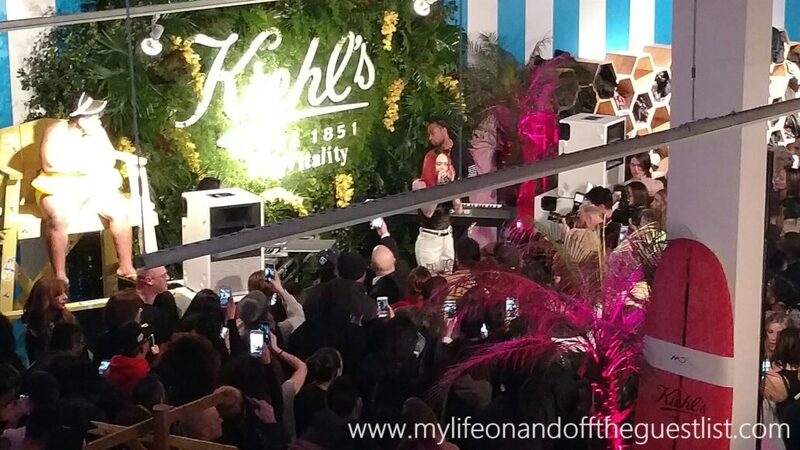 is available now both online and at all Kiehl’s retail locations. The 1.7oz. Jar retails for $60.00, and the 2.5oz. Jar for $79.00. Have you tried the newest member of the Kiehl’s skincare family for yourself? Share your thoughts in the comments below. 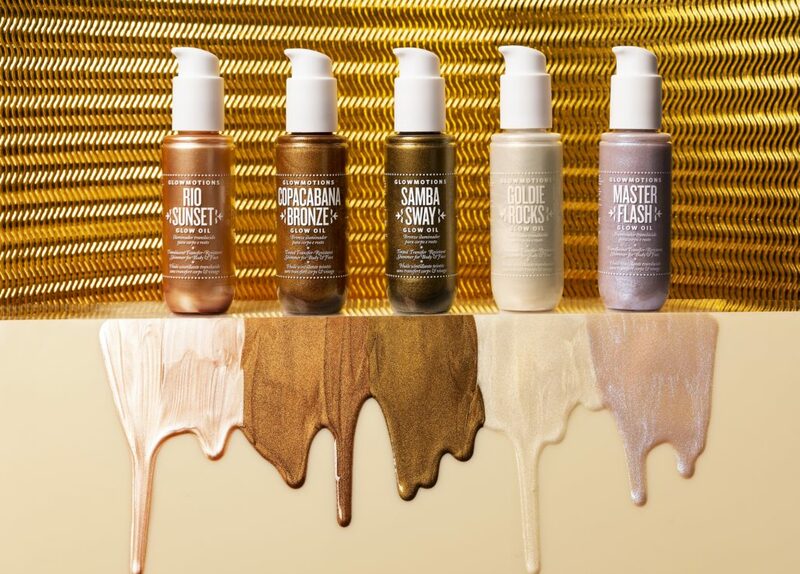 Skincare is always evolving, so it’s important to know about the latest beauty launches, and the newest products available. 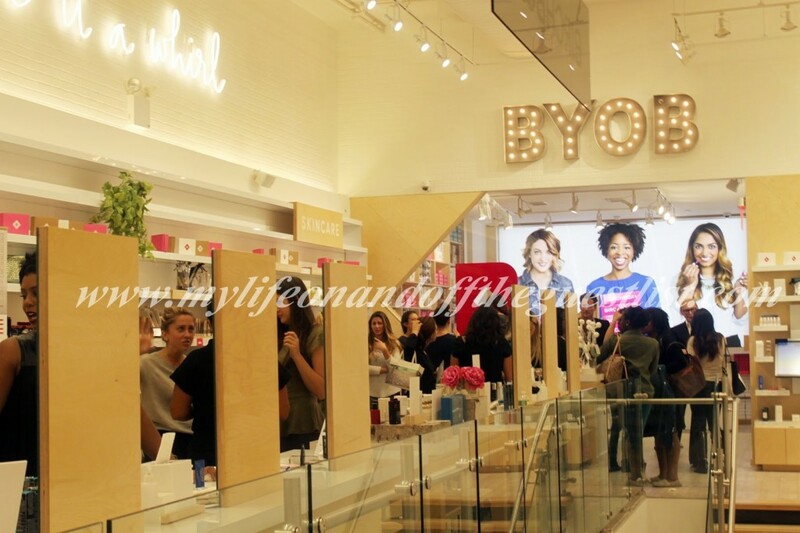 This is what we and beauty haven Sephora are here for, to let you know about the innovative new beauty products available to you. 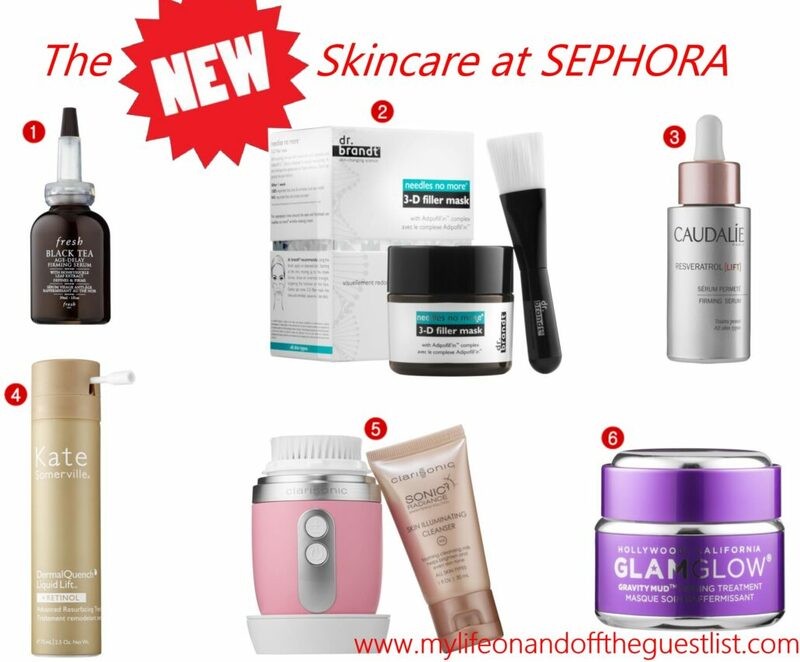 So if you are ready fellow beauty addicts, we present what’s new in beauty at Sephora from Fresh, Dr. Brandt, Caudalie, Kate Somerville, Clarisonic, and GlamGlow. These skincare brands are already known for their groundbreaking formulas and their latest products will simply your life. Wouldn’t you love to get the quality of a professional beauty procedure at home, without the downtime? That’s exactly what the range of new targeted treatments offer. Are you ready to hello to beautiful skin? Then get ready for what’s new in beauty at Sephora. Fresh Black Tea Age-Defy Firming Serum ($75.00) –Clinically proven to reduce the appearance of fine lines and wrinkles and leave skin looking luminous, this serum delivers immediate and continuous moisture that builds over time. This universal serum has a corset-like effect on the skin, giving the appearance of more defined face contours. It improves key signs of aging and helps to prevent future damage, firms the look of skin, and improves luminosity and suppleness. Dr. Brandt Needles No More® 3-D Filler Mask ($95.00) – This visible skin-plumping mask restores volume and youthful-looking contours—filling in the look of wrinkles and folds for an instantly smoother look. Specially formulated with a potent age-defying skin combination of hyaluronic acid, rejuvenating peptides, and adipofill’in™, it provides visible volume where needed for an all over recontoured look and feel. Caudalie Resveratrol Lift Firming Serum ($82.00) — This oil-free, innovative resculpting serum is formulated with Caudalie’s new breakthrough patent of stabilized vine resveratrol (for firmness) and micro hyaluronic acids (for volume) to visibly recontour, refirm, and re-plump aging skin. Also enriched with a peptide composition that works on natural collagen and elastin, it lifts the look of facial contours and reduce visible effects of aging. The light, hydrating texture blends into the skin without any sticky residue and can be applied under makeup. Kate Somerville DermalQuench Liquid Lift™+ Retinol Advanced Resurfacing Treatment ($98.00) – This resurfacing booster treatment is formulated with a retinol active ingredient combined with natural bio-retinol, which support natural collagen production and healthy cell turnover to create the appearance of firmer skin with increased elasticity, reduced wrinkles, and more even pigmentation. Clarisonic Mia Fit ($198.00) – This travel-friendly, lightweight, and waterproof device gives you smooth, radiant skin on-the-go. It fits comfortably in the palm of your hand, cleansing up to six times better than hands alone. The two new speed settings—Delicate and Power Cleanse—remove impurities, sunscreen, and makeup. 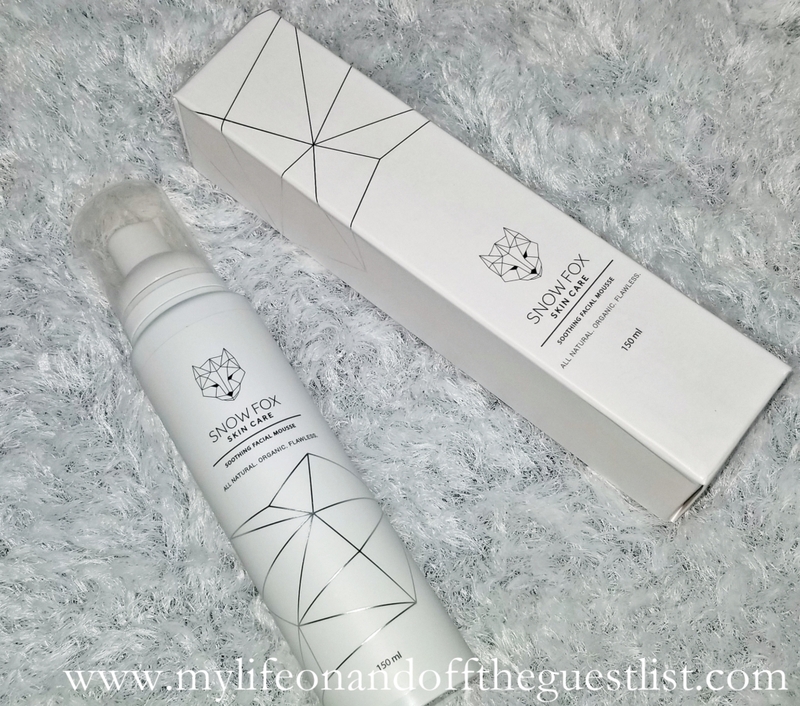 The high foaming, luxurious, milky Skin Illuminating Cleanser is specifically formulated for use with the Radiance Brush Head to remove impurities and help transform the appearance of dull skin for a more radiant-looking complexion. GlamGlow GravityMud Firming Treatment ($69.00) – This innovative formula changes color from white to brilliant chrome and peels off to leave skin feeling tighter and more lifted. Mega-targeted ingredients work together to help skin’s contours feel firmer and more defined. 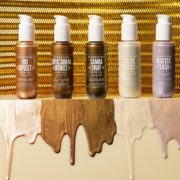 What are your thoughts on what’s new in beauty at Sephora? Which of these skincare products are you most interested in trying? 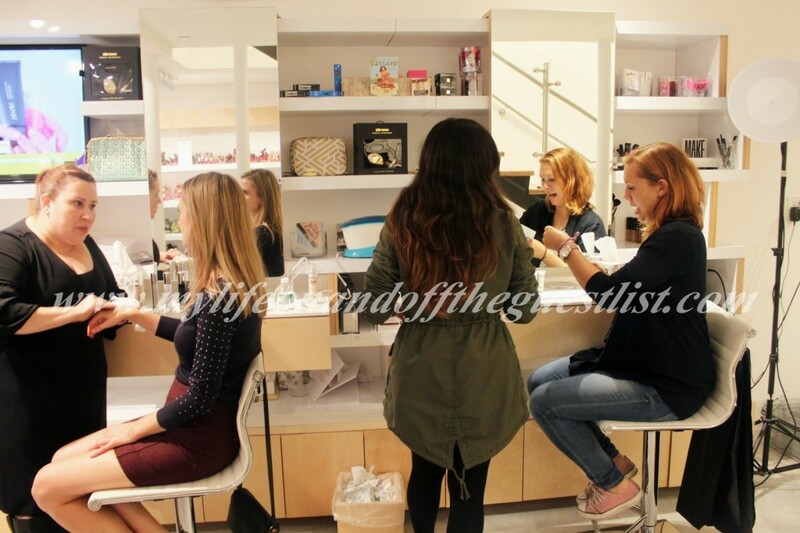 Are you a Sephora Beauty Insider? Join the Real Results Challenge with exclusive free samples that offer real results after just a few uses. 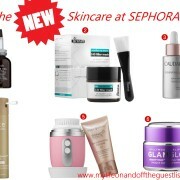 Stop into any Sephora location for personalized advice, skincare services specialized for your skin, and a Skincare IQ diagnostic at Sephora’s Beauty Studio, and of course, you can also shop for these innovative skincare products anytime on www.Sephora.com. 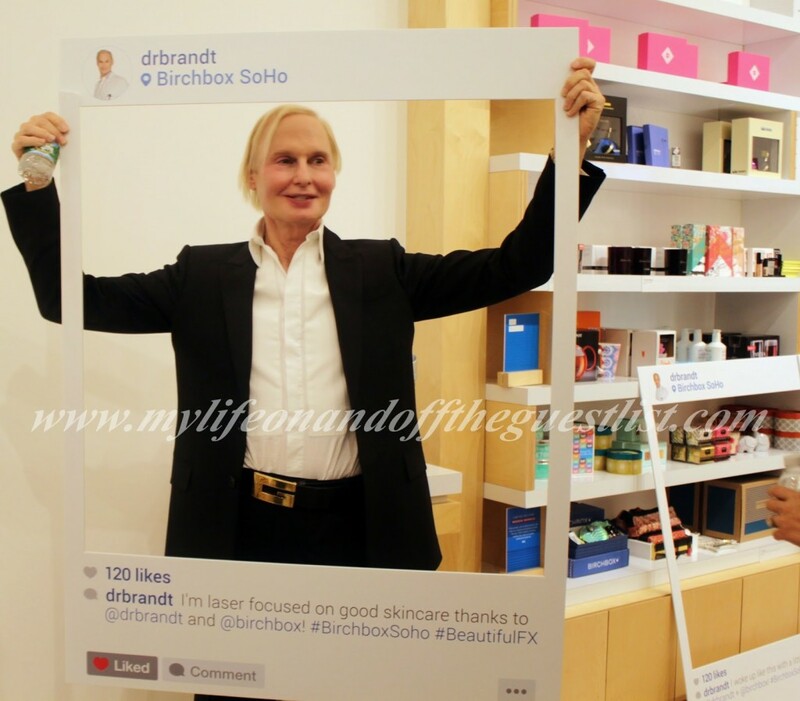 We had the pleasure of attending an event at the glam Soho Birchbox store to celebrate and get an exclusive look at renowned celebrity dermatologist Dr. Fredric Brandt’s latest skincare launch, Dr. Brandt Laser Fx Serums. The best part, the good doctor was on hand to introduce the product himself. Imagine if you could target and alleviate your skin issues with a skincare weapon. Thanks to Dr. Brandt, you can. Whether you’re looking to fight wrinkles, tighten sagging skin, or fade your dark spots, the new skincare laser series collection from Dr. Brandt will reveal your skin’s best. The laser-focused line of custom skincare is inspired by the newest generation of in-office Fraxel Lasers, a sought-after treatment from Dr. Brandt. Laser Fx Lift Serum ($78.00) – Great for those who want to target their sagging skin, redefine their face contour and boost elastin. Featuring Dr. Brandt’s customized blend of amino acids and infused with Sweat Pea, Hexapeptides, and Acmella Oleacera Extract, a plant derived skin tightener, this very potent serum provides instant firming and tightening. After one week, skin’s texture is improved, after two weeks, your skin looks lifted, after three weeks, your skin is more supple and elasticity is restored, and after a month, the contour of the face is visibly more defined. 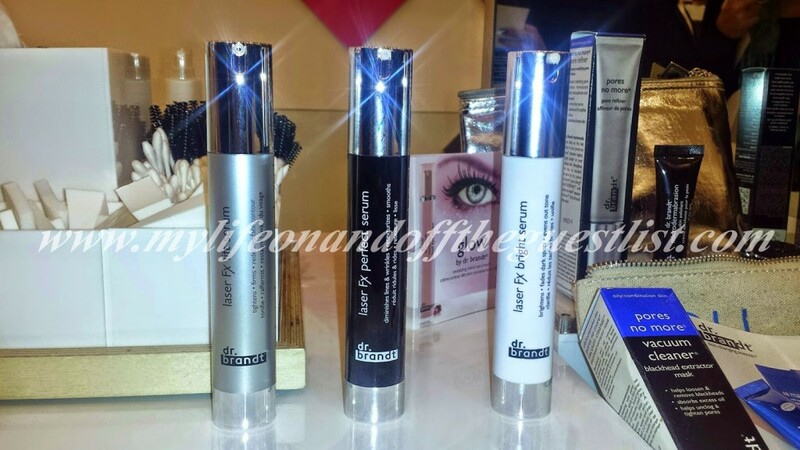 Laser Fx Perfect Serum ($78.00) – Plagued with fine lines and wrinkles? Eradicate them with with this smoothing serum infused with Gotu Kola, Biomimetic Tri-Peptide, and Heptapeptide encapsulated actives. The Perfect Serum instantly smooths skin and leaves it soft. 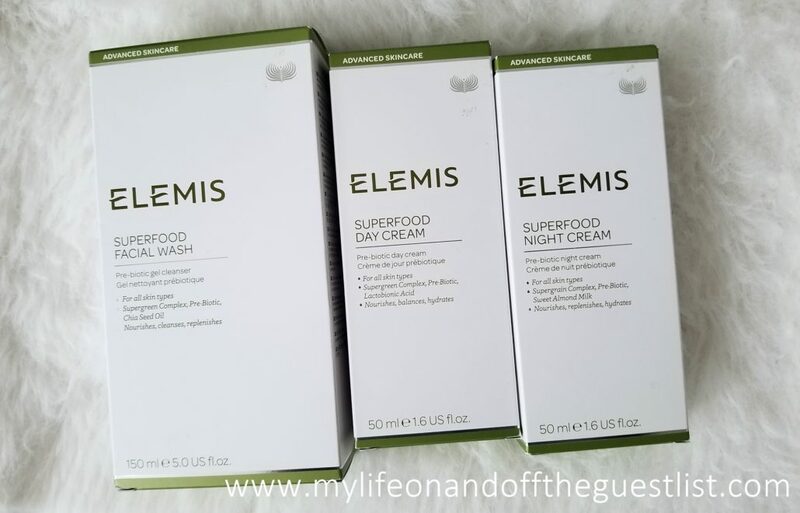 Skin is plumper after one week, fine lines and wrinkles are diminished after two weeks, skin texture is dramatically improved after three weeks, and skin is transformed after a month. Laser Fx Bright Serum ($78.00) – Do you find yourself dealing with dark spots like we do, or dark spots and dull skin? The answer to your prayers is the Laser Fx Bright Serum. Boasting encapsulated Vitamin C, Epidermosil, and Knotgrass Extract, the Bright Serum will help you kiss your imperfections goodbye. Enjoy more luminous skin after one week, imperfections that look diffused after two weeks, dark spots and discolorations fade after three weeks, and after four weeks, your skin is visibly more even and radiant. 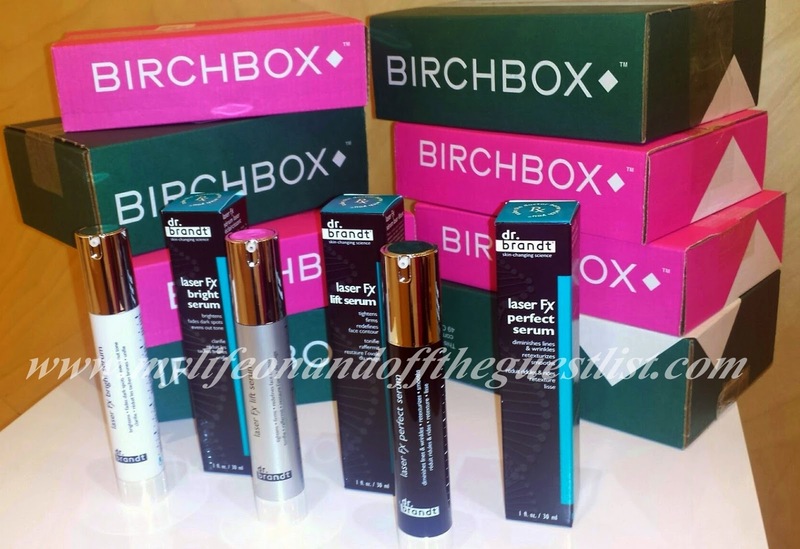 The Laser Fx Serum Serums is available now and can be purchased online at birchbox.com. 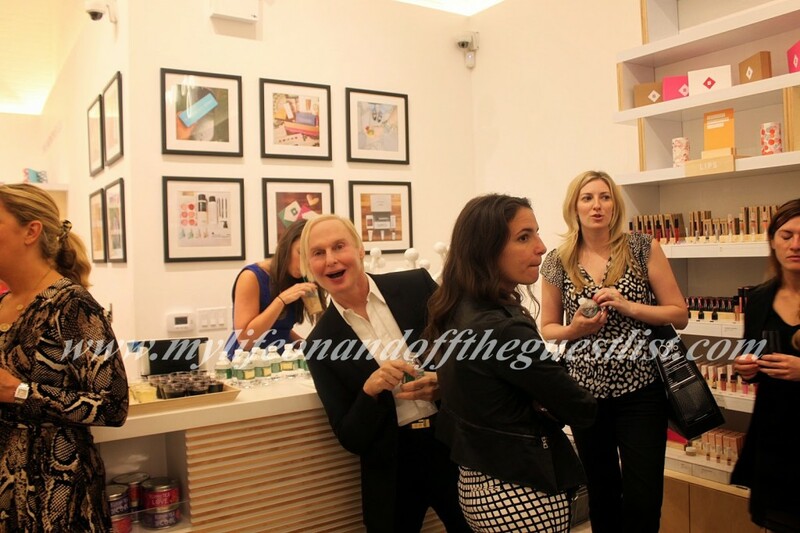 Have you visited the amazing Birchbox Soho boutique? If you haven’t, you definitely need to add it to your list. 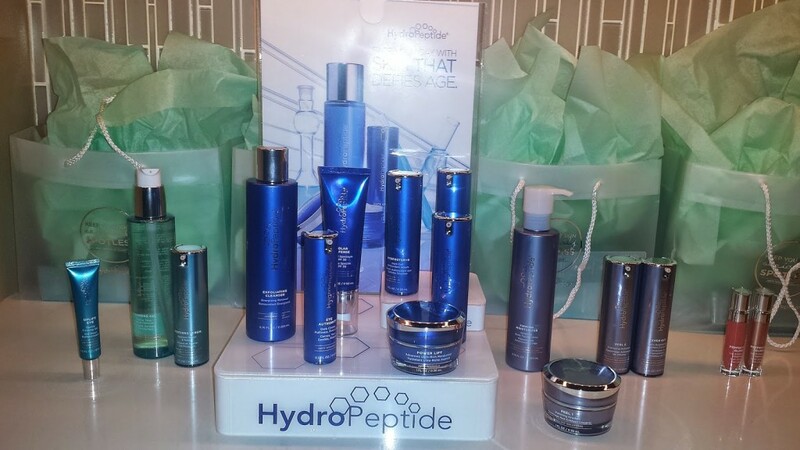 Just before NYFW, I had the extreme pleasure of receiving an abbreviated, Hydropeptide Facial at The Setai Club & Spa on Wall Street and a few product samples to take home, to learn more about the brand’s new Clarify collection. This facial couldn’t have come at a better time – the polar vortex had sucked all the moisture out of my skin and fashion week was just ahead. 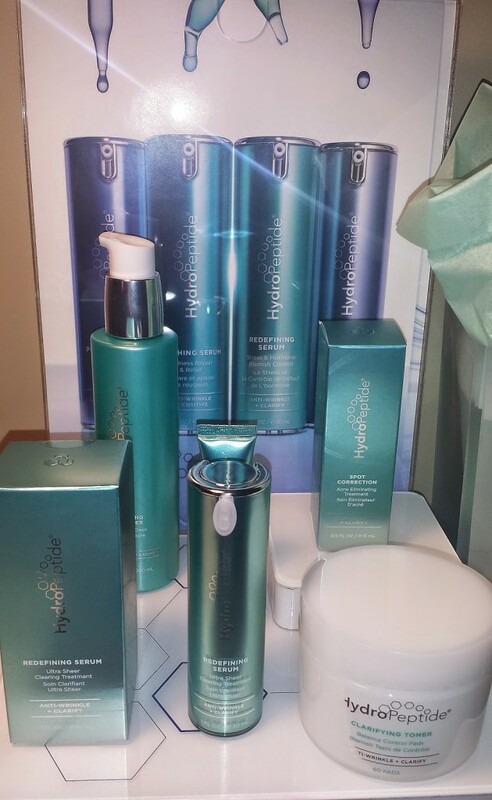 All Hydropeptide’s products contain over 60 peptides with the number one mission of fighting aging; the Clarify Collection (pictured below) also deals with what my esthetician, Erin, called secondary concerns such as dehydration, redness, and acne. If you’ve never heard of peptides used in your beauty products, think of them as tiny chains of amino acids that together make up the proteins in the skin. Important proteins to note are: Collagen, a structural protein that has huge connectivity properties, and Elastin, which, like its name suggests, helps with the elasticity of our skin. As we age, the collagen in our skin breaks down and our skin appears less smooth and wrinkle-laden because structurally, it’s not sound anymore. 1. Cleansing Gel: Cleanses, tones, and removes makeup. 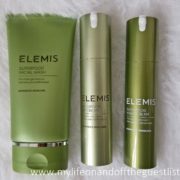 This cleansing gel felt as light as a serum and my esthetician used it to pre-cleanse the skin. Here’s a protip: use a damp sponge to remove the product. 2. Clay-based Purifying Cleanser: this clay-based tea tree oil cleanser boasted lots of anti-bacterial properties, perfect to deep clean my skin. 3. Clarifying Toner: toners are absolutely perfect to balance the pH of skin, as well as brighten and fight acne. This one was chock full of ingredients such as: azelaic acid (sebum regulation), lactic acid (gentle, hydrating acid ) and aloe (hydrating properties). One of the many botanicals present is Canadian willow herb, which helps with oil production. 4. Peptide massage oil: a coconut oil base, that’s organic and non-comedogenic. This massage oil contains a peptide called Rejuage, which decreases oxygenation (slows loss of collagen and elastin of skin). 5. Clarify Redefining Serum: a wonderful and light treatment serum that contains salicylic acid and a growth factor that inhibits sebocytes, which help in controlling oil production. 7. Power lift: this effective moisturizer was applied to my skin which contains emollients, humectants, ceramides, and occlusives, all to keep the moisture in the skin. 8. Solar Defence SPF: lastly, Hydropeptide’s spf with color adjusting spheres, with a BB cream-like feel was applied. All in all, I would highly recommend, the peaceful Setai Club & Spa Wall Street and most importantly, the Hydropeptide Facial, which can be customized to your skin concerns. The products felt wonderful and do not leave your skin feeling stripped. as I continue to enjoy the benefits with the samples I got to take home. ***Thanks to our Beauty Contributor, Laura of Blush and Beakers for covering the Hydropeptide Clarity Collection for My Life on and off the Guest List. Make sure to check out her blog.